The following SMCCCD faculty members have had obituaries published in The Advocate. On December 24, 2014, Dr. Irv Witt, emeritus professor of sociology, passed away at the age of 93 in San Rafael, California. He retired in 1993 following 30 years of service to the college district. Irv received a Ph.D. and bachelor’s degree from U.C. Berkeley and a master’s degree from the University of Chicago. He served in the U. S. Army as a lieutenant in Guadalcanal during World War II. 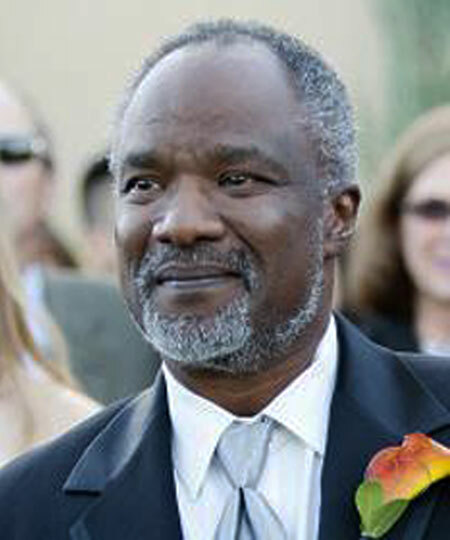 Prior to joining the faculty at CSM, Irv taught at San Francisco State College (now University). In 1963, Irv was hired at CSM just as the new College Heights campus opened its doors. During his tenure at CSM, he was regarded as a highly respected faculty member; he also served as the chair of the sociology department. Irv had a passion for local and national politics and was involved in many community organizations, including serving on the boards of the American Civil Liberties Union and the San Mateo Senior Commission. Irv was involved in the early, founding days of AFT Local 1493, serving in various capacities in the leadership of the union. For example, Irv served for many years as a leader in the AFT’s Committee on Political Education (COPE) group, always on the lookout for possible faculty-friendly candidates to run for the Board of Trustees. He is survived by his wife, Josephine, sons Jeremy and Jordan, brother Melvin, and five grandchildren. During the couple of semesters just prior to my own retirement, while the CSM campus was undergoing renovation, Social Science faculty were grouped together in cubical office space. This unusual arrangement gave me the opportunity to spend quality time with Irv. He and I both had mid-morning classes and would generally arrive on campus around the same time. In the quiet of this early morning time, he and I shared many delightful conversations. Having transferred to CSM late in my career, I did not have the opportunity to know Irv over a long period of time. Nevertheless, I quickly came to feel close to him and to treasure the time we shared. It was easy to feel close to Irv. That was just the kind of guy he was. His warmth, kindness, and gentleness of spirit led to an immediate sense of genuine, human connection. I remember being very impressed by Irv’s gentle nature juxtaposed with his very passionate, unwavering commitment to a progressive social and political perspective. As I got to know Irv better he came to feel like an old friend. I felt very touched by his respect for me and my views. In hearing stories about Irv, at his memorial, it was clear that many others felt the same. It was not a surprise to hear about the deep love Irv shared with his lovely wife Jo. It was touching to realize that Jo and Irv’s love story was the central theme of his life. In closing, I would be remiss if I did not mention Irv’s sense of humor. He always seemed upbeat and happy. I have repeated one of his jokes a number of times, “When a group of older people get together, it quickly becomes an organ recital.” Perhaps only those of us up in years will get the humor. There are a few people in my life who I think of as role models of how to age with grace and dignity. Irv is certainly one of those people. My life is better for having known Irv as are the lives of his friends, family and the many students he worked with over a long and fruitful career. Irv would on occasion place an article from the New York Times in my mail box. It was always on an issue pertaining to economics and was more often than not written by Paul Krugman. The next time we passed in the hall of building 15, he would ask me what I thought of the article. We would then have a conversation about the article. The problem with trying to have a conversation in the hall of building 15 was that anyone walking by could join in (actually that was not a problem but rather one of the most important benefits of having over 100 teachers in the same building). The discussion would then become an interdisciplinary free-for-all with historians, philosophers, anthropologists, geographers, political scientists, sociologists all contributing their two-cents worth. Until Irv`s memorial service, I did not know that besides a Ph.D. in sociology, he also had a B.A. degree from U.C. Berkeley in Economics! 1. Words Irv Witt would never speak-”no more mr. nice guy”. He was always a nice guy no matter how heated a discussion got. He loved the concept of free speech and expression, but he was never in one’s face or confrontational. 2. Irv, unlike many of his colleagues, did not suffer from logorrhea. Sometimes at lunch or a meeting he would say nothing at all. But he was always alert, processing, and full of information if asked. He seemed to firmly resist the impulse to convince others of how smart he was. 3. Irv was a real family man, very proud of his wife, two sons and grandkids. Irv and wife Jo were hospitable people and made their home a happy place to be. 4. Irv loved to teach and he was a real mensch. It was so nice to have known him. Were it not for Irv Witt I would have not had a career at San Mateo. I first met Irv when I was interviewing for a position as a sociology instructor at San Francisco City College. After meeting with several of the social science faculty at City College, I was informed that they were unanimously recommending me for the position but that I had an additional hurdle to clear. I was required to meet with the college president. I met with the president whose name I don’t recall although I remember he was a big burly fellow and ex college football star. I felt I had done well in the interview, that the president liked me and I was all but assured the position. I was shocked to learn that the president had vetoed the faculty committee’s recommendation. Irv informed me that the president thought that I was coming to San Francisco to do some “left wing organizing and stir up trouble.” What had given him this false impression is that when he asked me what I thought of Saul Alinsky, I had said that I admired him. In my naivete I was unaware that he was asking a trick question. Irv, who was on the faculty of both schools, was indignant. Always willing to right injustice, he made sure that I was hired at CSM. Thank you, Irv. I remain grateful. 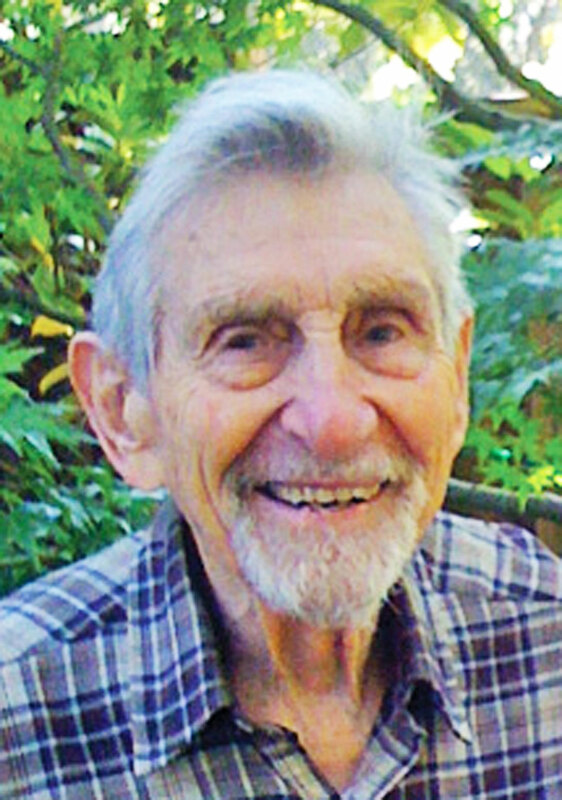 Irv Witt was an active and contributing member of the San Mateo community. He was active in the San Mateo County Democratic Club and Democratic politics, worked hard on behalf of Democratic candidates. He was also appointed as a member of the San Mateo Senior Commission and was honored by the city of San Mateo for his contributions to the community. 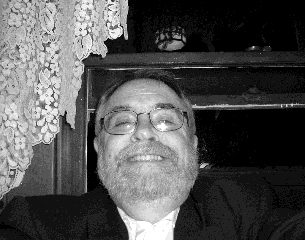 Cal Robinson, longtime Skyline College business and law professor, passed away on August 10, 2014, and will be sorely missed by Skyline and District colleagues. Cal was born in New Orleans, Louisiana, as one of six children. He studied at San Diego State University while serving as student body president, later graduating from UC Davis with a B.A. in Political Science. He went on to obtain an M.B.A. and J.D. at UC Berkeley. Two Skyline colleagues and friends–Katharine Harer and Jeff Westfall–share brief memories of Cal below. Cal Robinson and I shared the second floor hallway in Building 8 for over twenty years. Cal’s office was in a little cul-de-sac around the corner from where Nina Floro and I lived, and he often taught his Business Law classes next door to my English Comp classroom. He’d walk in the door smiling and leave with students chattering by his side. Cal and I were work friends, and although we were in different divisions and only rarely found ourselves in the same meeting, we knew one another. Cal was infinitely knowable. He never hid behind an officious attitude nor was he distracted by overwork or campus politics, and he never lost his fundamental kindness. Cal was interested in everything: in me, in the teachers’ union, in his family, in his students, in life. When we would talk before closing the doors of our classrooms, Cal was completely present – warm, sweet, smart and funny. Cal often carried huge aluminum pans of homemade food to his classes, and I never saw him happier. He knew that feeding students is a good way to nurture — and educate — especially when the teacher takes the time to cook for his students. The last day I saw Cal, in early June, we were both clearing out our offices – he was moving and I was retiring from full-time teaching. Cal laughed and said, “You’re not really goin’, Kath? You’re too young.” I loved that he said that even though it wasn’t true. I can’t imagine the world without Cal in it. It is with sadness that I have learned of the passing of Professor Cal Robinson. Prof. Robinson’s greatest moments on campus were in the classroom, but it was in a “shared governance” meeting early in our Skyline careers that Cal made a deep and lasting impression upon me. A committee discussion had turned tense, is how I’ll put it, and Cal challenged the biases of the chairperson with a courage and insightfulness that demonstrated to every person in the room his quiet integrity. Off campus, surely, Cal’s greatest joys were his children, and I am happy, selfishly, to have had him stand with me again years later – at my wedding. Cal Robinson was a very good man, and he is missed. 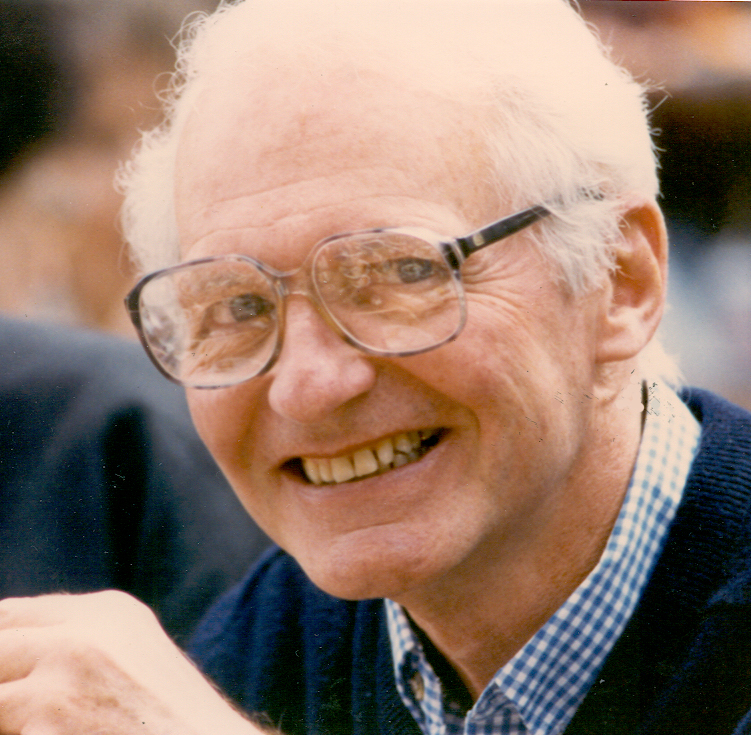 Joseph Manning McDonough died October 22, 2010 in Palo Alto at age 85 after a full life in academia and social action. Joe was raised in New York City and Philadelphia. During WW II he served for 3 years in the navy participating in 4 major battles, and won the Purple Heart when his destroyer was sunk by a kamikaze off Okinawa killing 40% of his shipmates. Joe attended Princeton after the war, where he majored in Psychology. He married Leah Brooks in 1949, after which he earned his MS at U. Miami and they both earned their PhDs in Clinical Psychology at Michigan State. They moved to Palo Alto in 1961. Joe spent the first half of his career with the VA Palo Alto’s Menlo Park division, running psychiatric wards, working with schizophrenics and administering work-for-pay rehab programs helping psychiatric patients return to the community. At age 43, he left hospital work and for the next 25 years was a professor of psychology at the College of San Mateo. He was an early activist in the anti-Vietnam War movement, was president of the teacher’s union, AFT 1493, and won the California Federation of Teacher’s highest state award in 2000. He is survived by Leah, his beloved wife of 61 years, his daughter Susan, his son-in-law Warren Mar, and his granddaughter Caroline. Joe McDonough, longtime AFT Local 1493 leader, died October 22, 2010. A brief overview of his life is presented above. Below we are reprinting an article from the April 2000 Advocate which reported on Joe receiving CFT’s highest honor, the Ben Rust Award. For over three decades, Joe McDonough exemplified activism in AFT Local 1493, the San Mateo Community College Federation of Teachers. In politics, in bargaining and in membership recruitment, Joe showed the dedication and commitment that helped build and sustain a strong local union. Joe thought of himself as a propagandist, not a dirty word in his vocabulary, but defined as someone who knew something about public relations and practical politics. He advocated forming a COPE committee in Local 1493, wanting to see a certain viciously anti-faculty member of the Board of Trustees defeated. Joe helped set up the infrastructure that led to his ouster and to the establishment of the local as a political force. Although Joe held virtually every position possible on Local 1493’s Executive Committee, including two terms as President (1982 and 1987), and terms as Vice-President and Chief Negotiator, the position he held for the longest time was that of Chair of the Membership Committee. In this capacity, Joe’s union work became legendary in the district. He kept a list of all the faculty on his office wall, a blue pin next to the name of each non-AFT member. His goal was to remove, one by one, those blue pins. Joe would go to each newly hired faculty member, introduce himself and the Union, answer questions, and almost always return with a signed AFT membership form. Even after Joe was on his post-retirement contract, he kept that list of faculty on his office wall, still added the names of all new hires, and still made his regular AFT membership recruitment visits. As a result of Joe’s efforts, almost 90% of the full-time faculty became AFT members, and Local 1493 won three membership growth awards from the CFT in 1984, 1990 and 1991, and a national award from the AFT in 1989. As a negotiator, Joe took on the crucial function of communicator for the team. Whenever contract negotiations weren’t going well, Joe put out the AFT Faculty Times. Known as the “blue sheets” because of the blue paper used exclusively for them, these bulletins contained facts and statistics that always refuted the nonsense the District put out. Joe documented that each year the district overestimated its expenditures and underestimated its income, resulting in large ending balances. In fact, Joe became one of the local’s best budget analysts in the course of working on his beloved Faculty Times. He became very adept, for example, at discovering the different areas of the budget where the administration temporarily hid monies in their efforts to claim none existed for decent faculty raises. He once got the CFO to admit that she had hidden over $1 million in a special account. She said she had just “parked” it there. Joe’s hard-hitting analyses of the budget and related issues caused the District to lose much credibility. The AFT Faculty Times won first place for Best Bulletin Series in the CFT’s statewide Communications awards in 1995. Before turning to teaching, Joe worked as a staff psychologist in a locked ward in a mental hospital. This served him well in the San Mateo CCD. He put his knowledge of psychology to use as a union recruiter, and as one of the most popular teachers at the College of San Mateo. He amused and delighted, as well as educated, his always-full classes for over three decades. Joe’s daughter, Susan, inherited her father’s enthusiasm for social justice and the cause of unionism. She works for SEIU Local 715 in Santa Clara. Her husband, Joe’s son-in-law, works for the AFL-CIO Organizing Institute in Oakland and teaches community college labor studies classes. When he retired, Joe McDonough was honored by his Assemblyman with both a ceremony at the College of San Mateo and a proclamation from the California Legislature. It is fitting that the CFT now honors Joe McDonough with the Ben Rust award, its most prestigious honor, for his dedication and commitment over the years to the building of a strong faculty union. It is with much sadness that we report that long-time AFT Local 1493 leader, Herman Bates, passed away on May 13, 2010. Herman Bates came originally from Indiana. He began working in the District in 1971, joining the faculty at Cañada College just a few years after the college first opened. 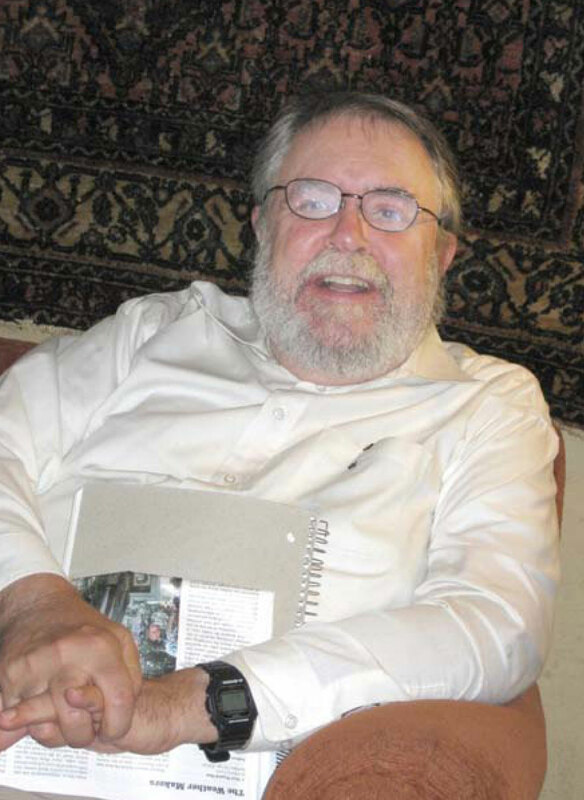 Herman taught Psychology for some years at Cañada before moving to Skyline College. When Herman moved to Skyline he became a counselor, and spent the rest of his career in the District as a Skyline counselor. Later Herman was a member of the AFT Executive Committee from 1987 to 1993, when he retired. He then began working on a Post Retirement Contract from 1993-94 through the 1996-97 academic year. After retiring, Herman became very active in the District Association of Retired Teachers (DART). He was the President of DART from 1992 to 1997. During the time that Herman served as the President of DART he continued to attend all AFT EC meetings as the representative of all District retirees, regularly bringing to the attention of AFT members issues of concern to retired faculty members. Herman followed all legislation affecting retired teachers very closely, and frequently wrote articles for The Advocate on retiree issues. After stepping down from the DART leadership, Herman and his wife, Joyce, lived in La Conner, Washington and McMinnville, Oregon. 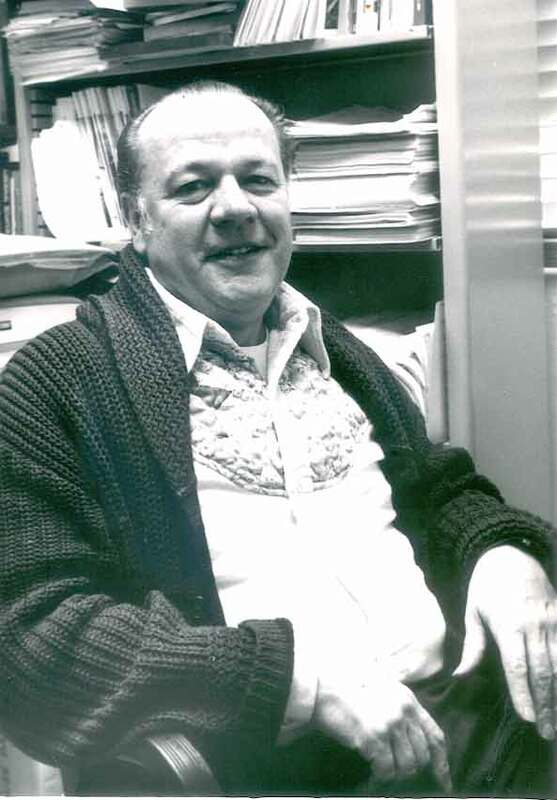 George Goth, Skyline College Chemistry and Physics Professor, long-time AFT 1493 Executive Committee member and founding editor of The Advocate, died on November 28, 2009, of cardiac arrest with secondary causes of respiratory failure and complications due to Type II Diabetes. A memorial for George was held on January 15, 2010 at the Berkeley City Club. To see the program from the memorial, including numerous remembrances and photos of George, click here. Two of the speakers at the memorial were Paul Goodman, fellow Skyline Physics Professor and longtime office mate of George’s, and Dan Kaplan, Executive Secretary of AFT 1493. Copies of Paul’s and Dan’s remembrances are included below. George and I were colleagues and office mates at Skyline College for about 25 years. In 1980 George had been teaching chemistry at the College of San Mateo and had requested a transfer to Skyline to ease his commute. The first time I met him was when I walked into the physics lab and saw this slightly rumpled and bearded fellow telling a joke to a student. The joke went right over the student’s head, but George was having a good hearty laugh anyway. We hit it off immediately. His position at Skyline was to be half physics and half chemistry while mine was half physics and half mathematics. We had both grown up in New York suburbs, probably not more than 10 miles from each other, although we had never met before this. We were both from working class families: his father had been a bus driver and mine sold seafood in the Fulton Fish Market. Neither one of us had much patience with pretension. We both had a New York directness that each of us found refreshing and familiar. We had similar senses of humor and enjoyed telling jokes. We were Skyline’s physics department. George enjoyed teaching the premeds and I took the engineering students. We were both more theoretical than experimental: neither one of us could figure out the business end of a screwdriver, although George did design some ingenious experiments for his students. I recall one, I believe it was called “Hair — The Experiment,” not to be confused with “Hair — The Musical.” Each student would pull out a hair, mount it along a slit cut in an index card, and then shine a laser light on it. From the resulting diffraction pattern thrown on a distant wall they could calculate the diameter of the hair. The students loved it, and George loved the fact that they loved it. It was always the high point of his semester. As officemates we were a bit like the Odd Couple: George’s Oscar Madison played against my Felix Unger. Fortunately we had a floor-to-ceiling bookcase separating our halves of the office so I didn’t have to see his papers strewn randomly about, and he didn’t have to see my books neatly lined up in alphabetical order by author. Our weekly department meetings consisted of lunch at Jo Anne’s Cafe on El Camino Real in South San Francisco. George always ordered the soup of the day and nearly always spilled half of it down the front of his sweater. We enjoyed ourselves telling jokes, reminiscing about growing up in New York, and arguing politics. Occasionally we would even talk about the physics curriculum. George always divided the bill proportionately to the penny, and he always kept the receipt so he could claim a deduction on his tax return. The man was frugal. George had a phobia about driving across the Bay Bridge, actually any bridge; so if he didn’t commute with the carpool, he would take a San Bruno bus to the Daly City BART station and then take BART to Berkeley. One semester he had a Monday afternoon lab that didn’t finish until 6 pm, and then a Tuesday morning lecture that was scheduled for 8 am. He thought it too much trouble to take a bus and BART home from Skyline and then reverse the procedure early the next morning, so he decided to spend Monday nights sleeping in the office. One particular Monday in February he brings in his sleeping bag, thermal pad, radio, toothbrush, and NY Times, and prepares for his office campout. He strips down to his underwear, crawls into his sleeping bag and settles down for the night. He wakes up at 3 in the morning to go to the bathroom. He opens the office door, steps into the hallway, and watches in disbelief as the door closes behind him, and locks. There is nothing he can do. He sits down on the floor and waits for the inevitable humiliation as students and faculty wander in later in the morning. As luck would have it, there is a janitor in the building doing nightly maintenance work. The janitor comes down the stairs and opens the stairwell door to the hallway where he sees George, on the floor, in his boxer shorts. George jumps up and runs toward the janitor trying to explain what happened. The janitor, who happens to be deaf, freaks out. He turns around and runs back up the stairs with George running after him. This Marx Brothers movie finally comes to an end as George trips and skids along the newly waxed floor. Eventually, with some creative hand gesturing, George manages to convince the janitor to unlock the door. The incident did not dissuade George from continuing to sleep in the office on Monday nights, but now he would always wear a key around his neck. George’s students had a genuine affection for him. They adored the fact that he was a little absent minded, a little disheveled, always had something offbeat but fascinating to offer them, and made himself available whenever they needed him. His patience with students was stuff of legend. George was emotional — more than you might think. He could cry as easily as he could laugh. When something moved him the emotions would suddenly bubble up, and tears would literally just squirt out. Then it was over, as suddenly as it had begun. He could, at times, seem aloof, but perhaps that was because he knew how easily he could lose control. He became an expert at the fine art of intimacy at a distance. George loved the Berkeley City Club. After he retired we would get together every few months for lunch in the club’s dining room, and then sit in a couple of big leather chairs and catch up. If he were here today, part of him would be horrified at all the attention, but the greater part would be touched by the tribute. He’d be squirting tears all over the place. So long, George — zichrono livracha. My name is Dan Kaplan, and I have been the Executive Secretary of AFT Local 1493, the San Mateo Community College Federation of Teachers, since June of 1994. By the time I arrived on the scene, George Goth had already made a huge contribution to the history of this union, which is the collective bargaining agent for all of the faculty in the San Mateo Community College District. This means that AFT Local 1493 represents faculty at Skyline College, where George spent most of his teaching career, but also faculty at the College of San Mateo, and at Cañada College. The union represents over 700 Part-Time faculty and slightly over 300 Full-Time faculty members. George was the founding editor of The Advocate, the newsletter of AFT Local 1493, from the time of its first issue in 1977 until 1988. But that was not the end of George’s union activism. He then became the Secretary of AFT Local 1493, and took the minutes of every one of our 9 meetings each academic year from 1988 until 2004. For all these years, the minutes that George took for each meeting were approved the following month by the entire Executive Committee. It is interesting to note that George was also, as I just found out, the editor of The Record, the newsletter of the Berkeley City Club. Clearly George enjoyed being involved in the editorial work of every organization that he belonged to. I used to drive George home from meetings of the AFT Executive Committee because we both lived in Berkeley. We soon discovered that we both were eclectic and voracious readers. On the way home we talked about philosophy, history, literature, poetry, and the theatre, in addition to union issues and politics more generally. I would like to end by quoting from an article that George wrote for the March/April 1988 issue of The Advocate, shortly before he stepped down as its editor. It is a front-page article entitled “Part-Timers: Qualified, Motivated, & Exploited”. Every one here today who knew George will recognize his voice and the values he articulated so well in this article. And then George says this: “Finally, a word or two hundred to my part-time colleagues. You simply have to get together on this. You’ve been divided and conquered and nothing else really matters. If you’ve written a novel, been awarded a prize, been worshipped by your students, it simply does not count. You will be treated like a peon until you and the 500 other peons in this district and the twenty thousand other peons in this state make one hell of a ruckus, in unison. A magic full-time position will not open up for you and you alone. If full-time positions do open up and they should open up in droves, it will be because you have gotten the word out on the situation. Gotten it out to your students, gotten it out to the administration, gotten it out to the public. “Remember, the squeaky wheel gets the grease. The quiet wheel ends up 39 years old wondering if it is too late for a career change.